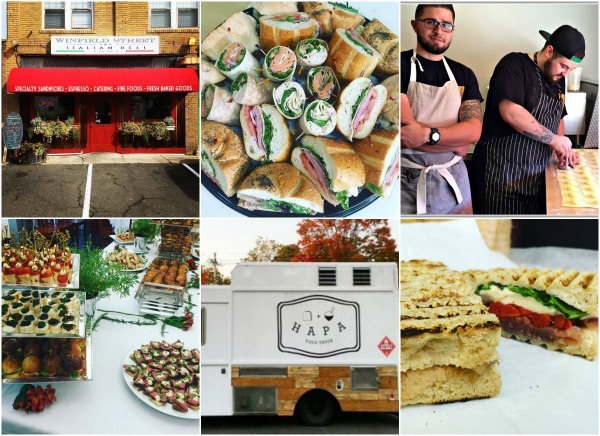 I was pleasantly surprised when I saw CTbites’ review of my deli and wanted to express my thanks to them and give their readers an inside view of the deli and my desire to purchase it and transform it into my vision. In 2015, after years of working late nights at high end spots such as Lambs Club, J House, Barcelona Wine Bar and my own Bistro Seven, I decided I wanted a break from the tiring and often showy restaurant scene. 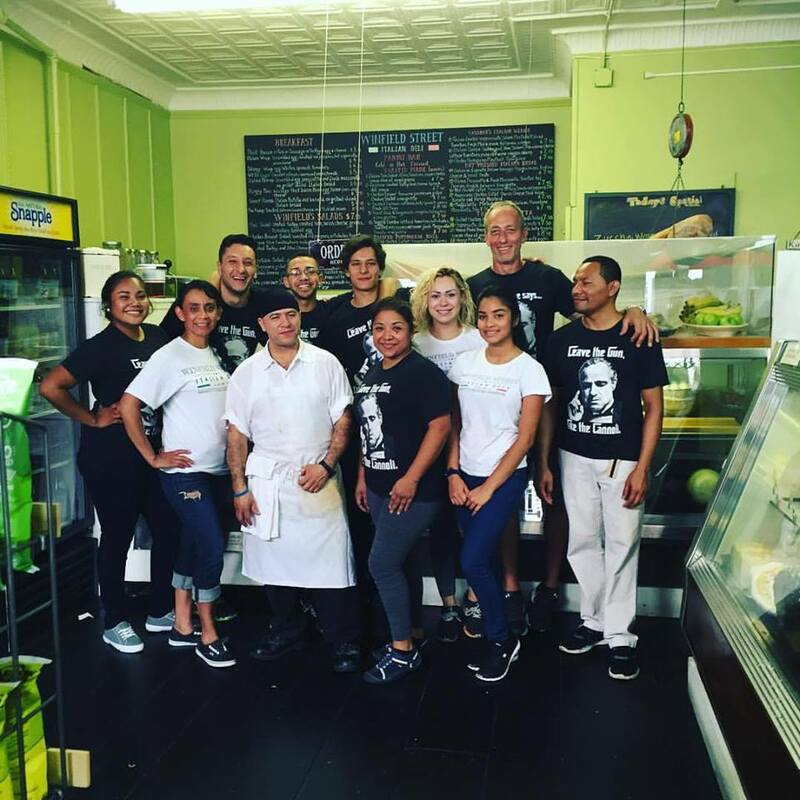 I wanted to serve good food and have a real connection with my patrons, staff, vendors and neighbors, without all the drama in a fine dining restaurant. I wanted something simple where I could be really myself with customers and staff. 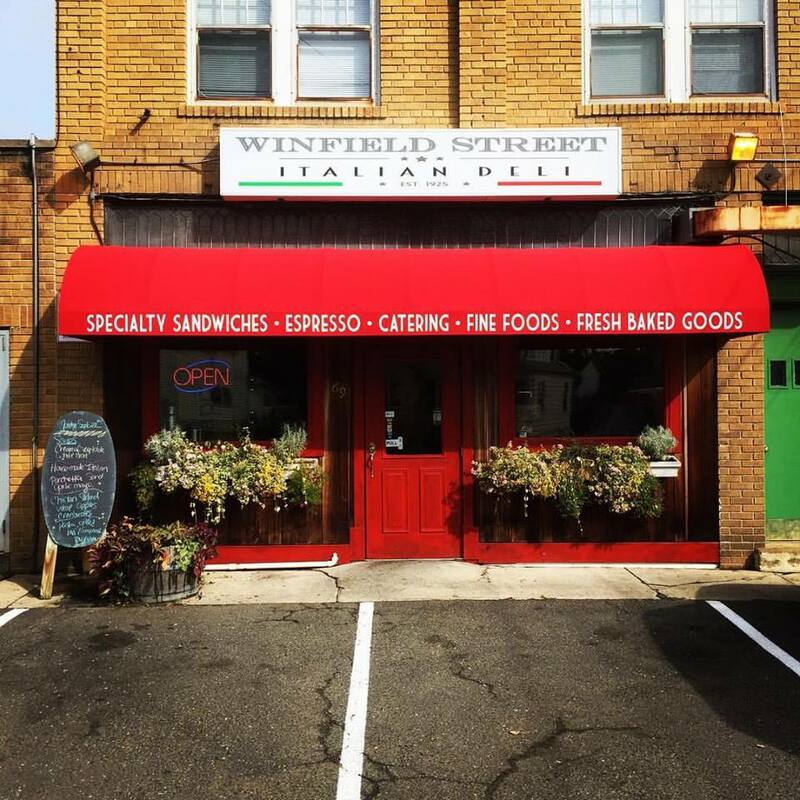 I heard of Winfield Deli and how a great chef, Pietro Scotti, served amazing sandwiches for over 20 years in this tucked-in spot, and had a blast at it. I wanted that too. I was no fan of delis because they were often dirty with an over-crowded menu, but I thought I could make my own version of a deli and elevate the deli concept to something closer to the Salumerias of Italy. Without pretension, I took over the little spot and gave a small face lift, keeping historic signs and equipment intact. Winfield Deli was first opened in 1925 by the Buono family on route 136 in East Norwalk. The place didn't need much work when I purchased it. It mostly needed love, and that my friend, my staff and I were willing to give plenty of. The food was loved by a very loyal audience, but they too welcomed the additions and changes to the menu. I kept some great staples from Scotti's time such as the Tuscan Combo, a delicious mix of soppressata, salami, fine mortadella, dried tomatoes, and house made fresh mozzarella with extra virgin olive oil and balsamic vinegar drizzled on the sesame Cassone wedge. But I also wanted to add my touch, and for that, I added my famous Porchetta sandwich. We roll the butterflied pork loin (as opposed to pork belly for the better texture in a sandwich) with plenty of garlic, basil and prosciutto, roast the loin and then slice to order. 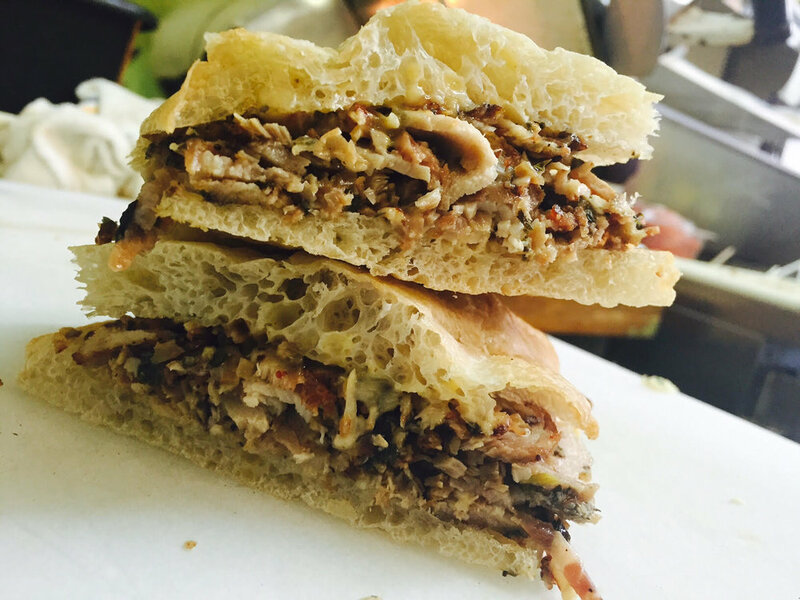 The Porchetta is served on a house made thin Ciabatta, which is spread with a house made garlic mayonnaise. 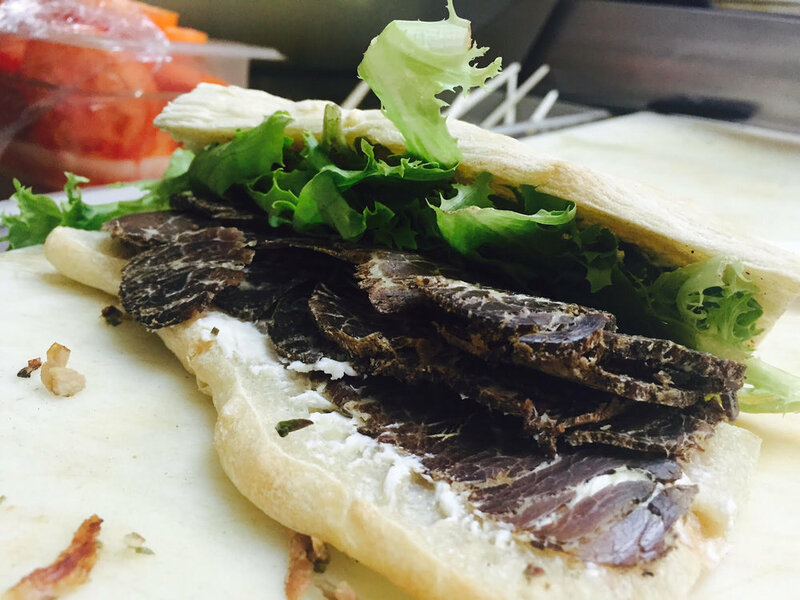 Another one of my favorites is our house-made Bresaola sandwich, which is done by marinating and salting top round beef for three weeks and then hanging the beef in the basement until it loses about 30% of its water content. The result is a tender spiced dry cured meat. We serve that on the Ciabatta bread with some truffled lemon goat cheese spread and baby arugula. Companies also love our catering options and the biggest part of the deli's business comes from corporate luncheons and gatherings. View the catering menu here. We specialize in luncheons because our food is always on point and it is easy to eat in a meeting. We offer easy online ordering and delivery is fast. The purchase of Winfield deli has opened many doors. In February of 2016 we opened an espresso bar across from the Westport train station and we have been getting deep into the coffee scene, making house-made cold brew, matcha lattes and pour overs. I’m having too much fun at my job and spending a lot of time digging into my Italian roots through our cuisine and coffee. 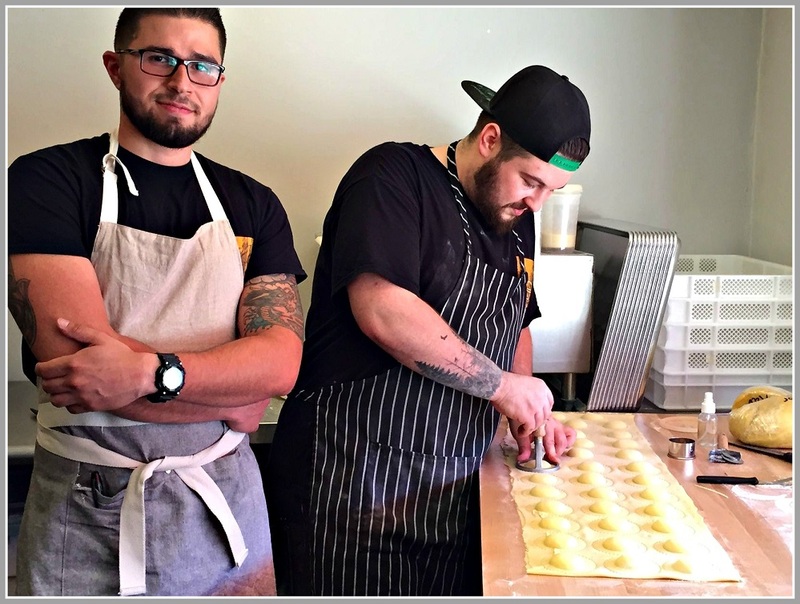 We share the space in Westport with a fresh pasta shop called Grana Pastificio. I decided to embrace the shared economy and we are both ripping up the benefits of the partnership because customers line up for coffee in the morning and then line up for fresh pasta on their way home from work. 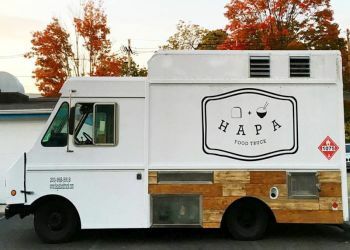 I also share my prep kitchen in Norwalk with another friend in the industry, Chris Gonzalez from the HAPA truck, and share the building with Spencer Hess, owner of the wine shop La vie du Vin. These connections allow all of us to grow together and the community sees the synchrony between the businesses. Everyone wins. corner of Post Rd and Route 33, in the site that currently houses Art's Delicatessen. The location is another historic local gem and the team is excited to take over when all permits are ready sometime in November. with a prime spot already secured next to places like HAPA, Coals, and others. We are always looking for staff members that are passionate and dedicated. The best members of our staff are getting options to buy into the company because I believe we have to grow together and share the rewards and risks.